I made the news today! Well, at least my artwork did. 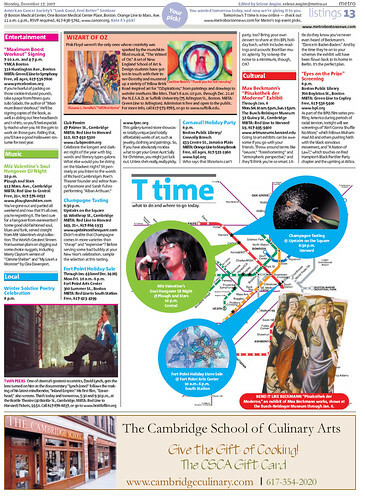 The Boston Metro, featured my painting, "Still Not Home," and Caroline Keem's "Thank you for Not Rescuing." Although I'm not a student at the New England School of Art and Design, and many of the other artists I met on the night of the reception aren't either, I appreciated being featured. If you haven't had the opportunity to see the Ozspirations exhibition and you live in the area, be sure to check it out!